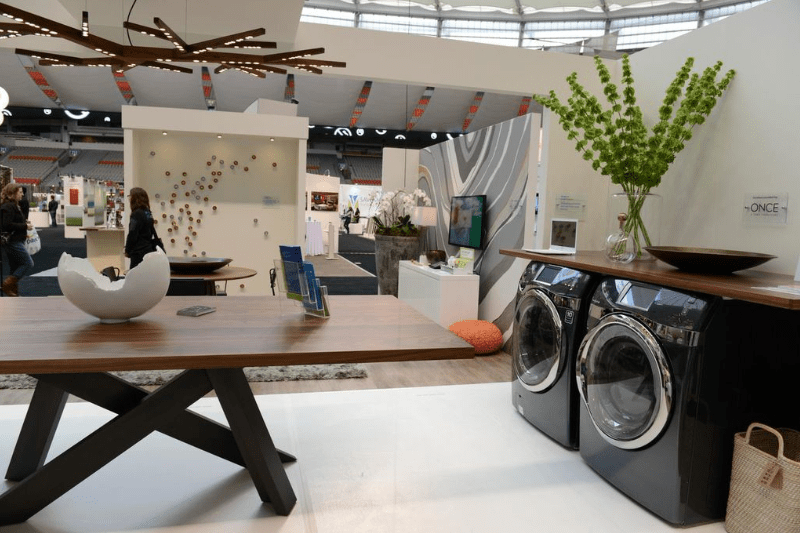 Over this past weekend, BC Place Stadium hosted the Vancouver Home + Design Show for 2014. Valor has been a part of this great show for many years, and this year they showcased some beautiful new designs! Valor had a modern, warm booth showing off the latest and greatest units that Valor has to offer. 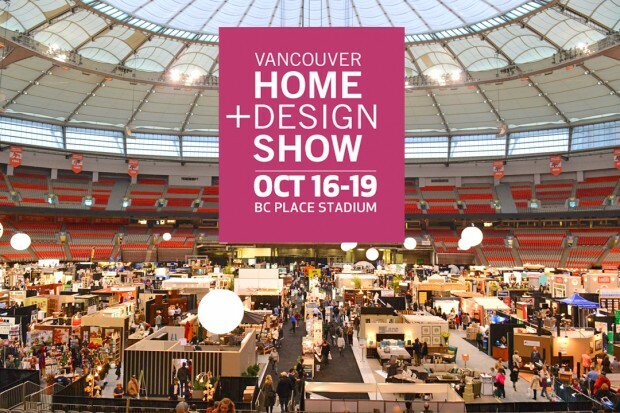 The show brought in many visitors from all over the lower mainland looking for new home ideas and design inspiration. Here is just a quick look at some of the great home inspiration that was showcased around the arena! 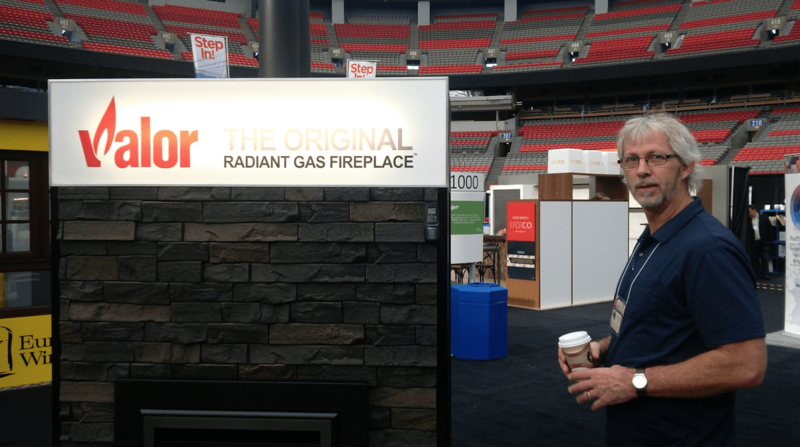 Exhibitors from all over BC gathered to show off the latest and greatest in home design, lifestyle products and last, but certainly not least, the flickering flames of Valor Fireplaces. 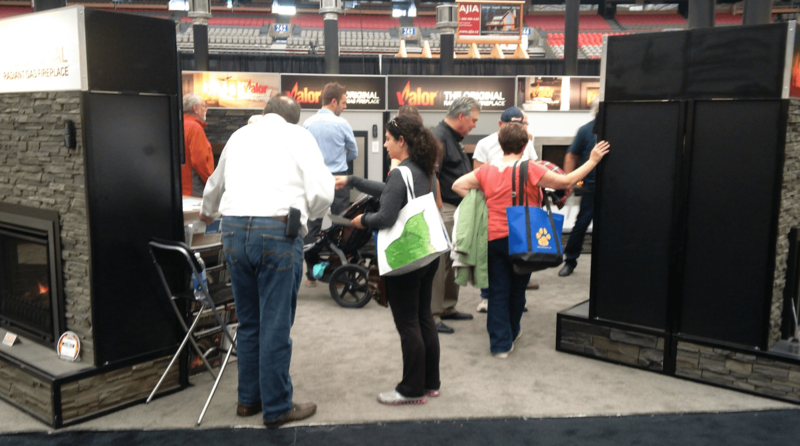 Our Valor Fireplace booth can always be found in the arena by looking up! There you’ll see our illuminated Valor balloon pointing you in the right direction and leading you right to our Valor booth. 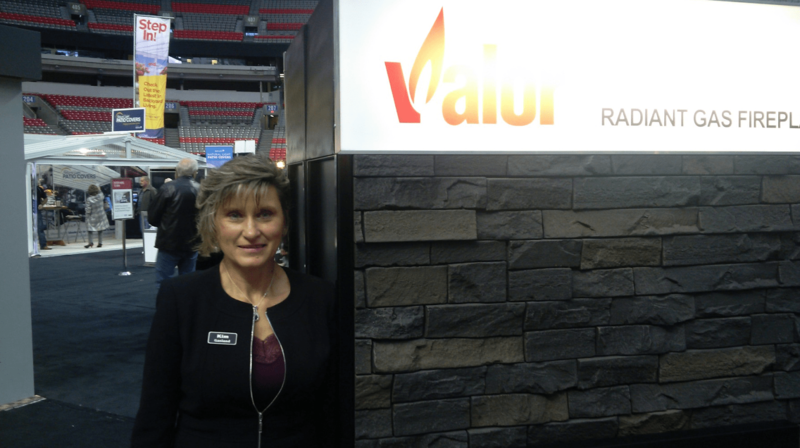 Here is one of our shots from the Valor booth at the Vancouver Home & Design Show this year. You could feel the warmth of the fires as you walked towards the booth and once there you were greeted by the modern Valor Legend G3.5 Insert. We also had some of our local dealers pop by for a visit and a quick photo op. Overall, it was a great year at the Vancouver Home & Design Show and we can’t wait to see you at the show next year. Stay tuned to our social media and our blog for announcements on upcoming Valor shows and events! Also, if you haven’t already, head over to our Instagram account where you will be able to see product photos and exclusive event photos not featured anywhere else! Below is just a sneak peek of what you might find on our feed and an exclusive photo from this year’s show! 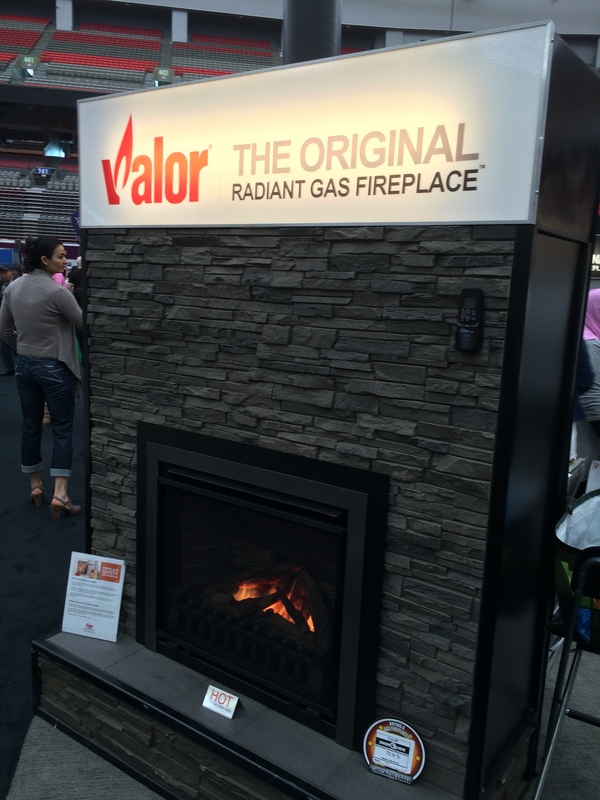 Follow us at @ValorFireplaces today!